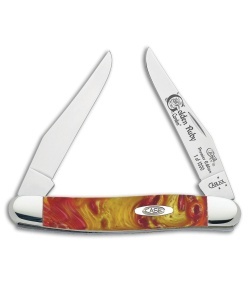 The Premier Edition Case Muskrat pocket knife with Golden Ruby Corelon scales is a fantastic addition to any collection. Tru-Sharp surgical stainless steel blades are etched with "Premier Edition, One of 1,200, Golden Ruby Corelon." 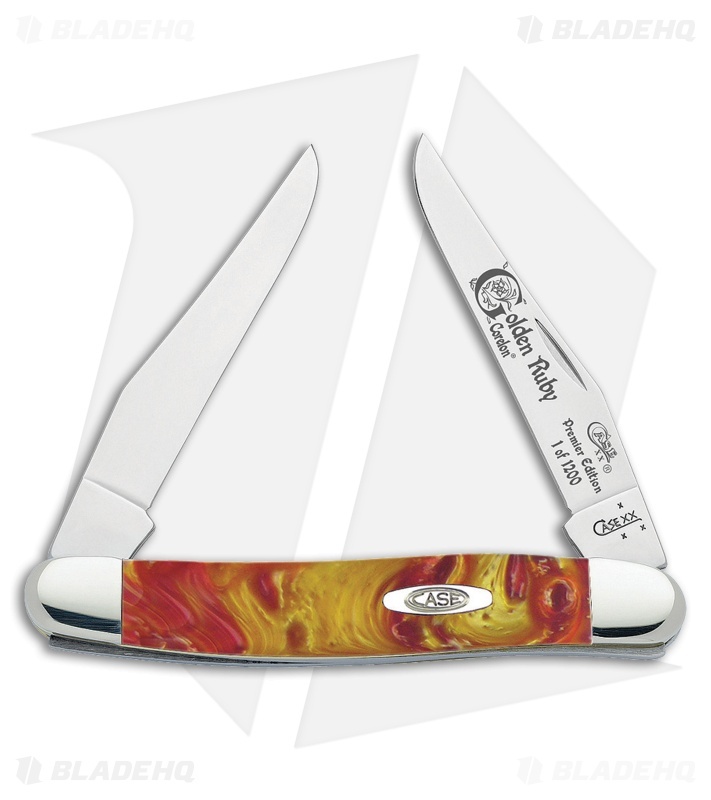 Golden Ruby Corelon scales are swirls of reds and yellows with an inlayed Case medallion. Polished nickel silver bolsters with brass liners complete this beautiful knife.